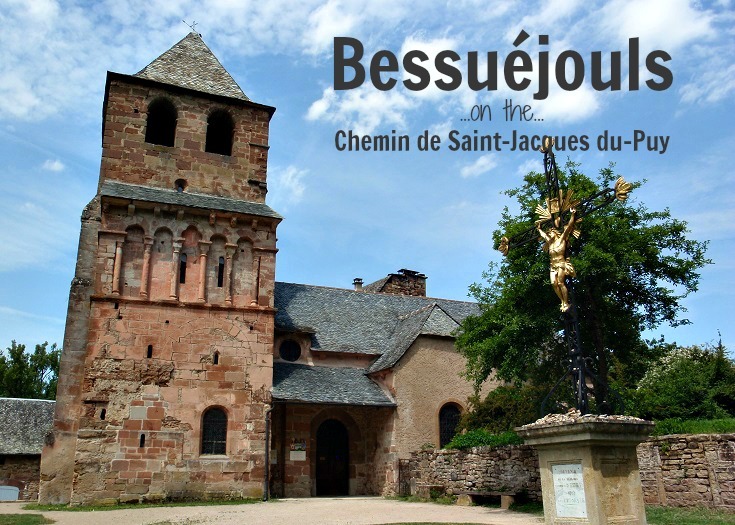 One of the highlights of a walk along the Chemin de Saint-Jacques du-Puy is a visit to the tiny hamlet of Bessuéjouls and the church of Saint-Pierre. Inside, the simple white-washed walls offset colourful carvings and paintings of Christ and the apostles. 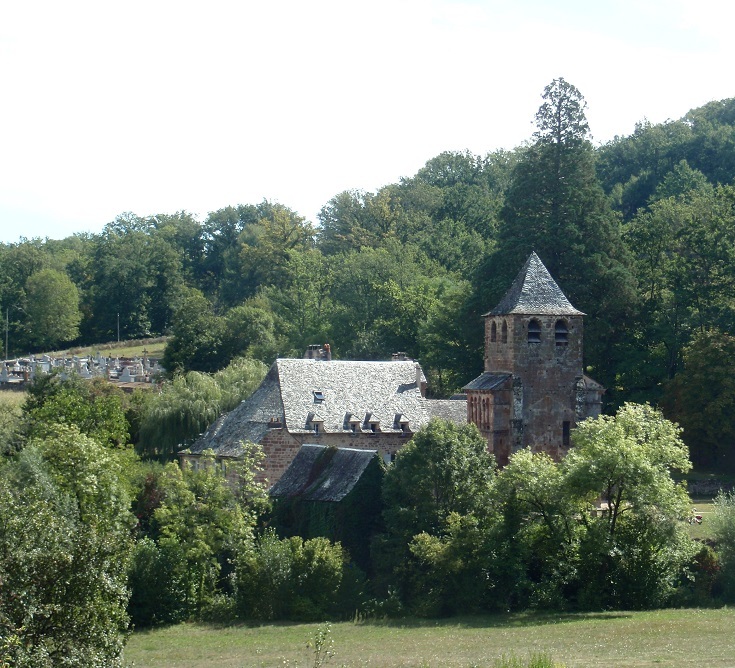 Mass is held once each month as the local priest rotates through the villages in the area but attending a service here would be a treat indeed—even if, like me, you understand nothing! 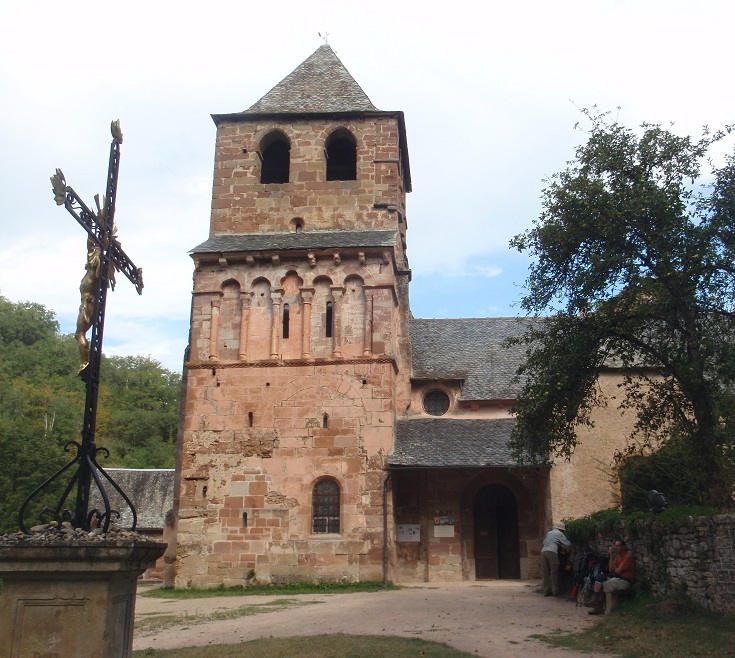 The bell tower of this ancient church dates from the twelfth century and was left intact when the rest of the church was renovated, some 400 years later. 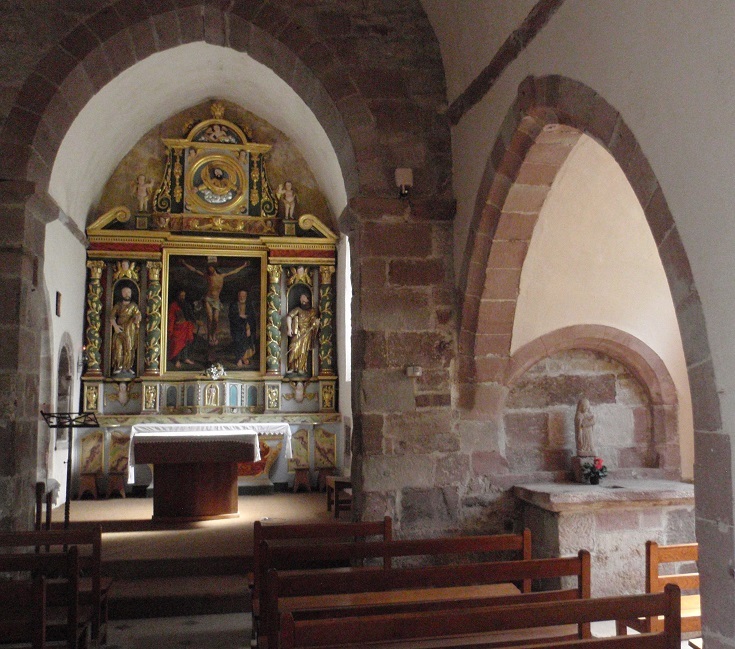 Stairs at the rear of the church will take you up to the chapel dedicated to the archangel Saint-Michel. 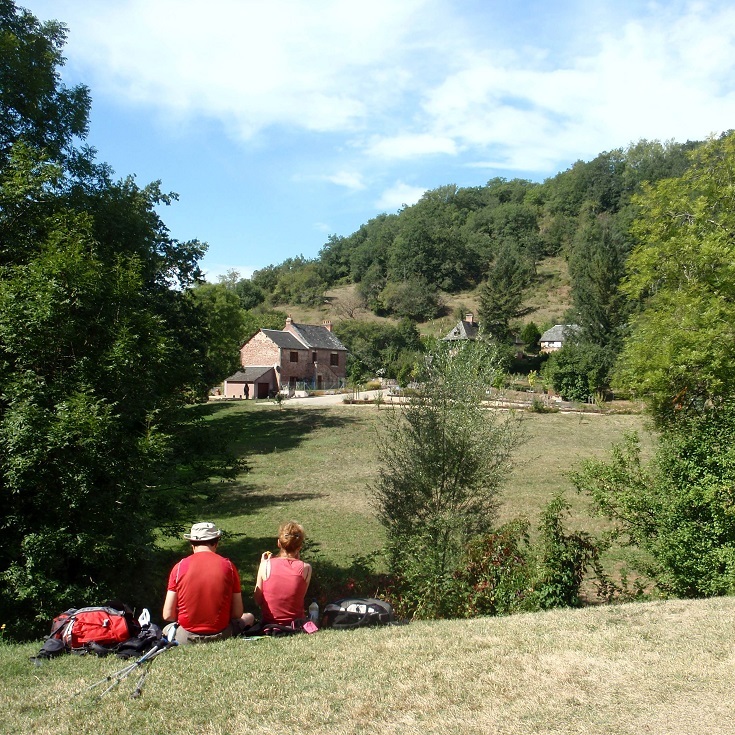 The grassy lawn in front of the church is a popular spot for long-distance walkers ready to take a break, enjoy a picnic lunch and soak up the atmosphere of this ancient and historic site. 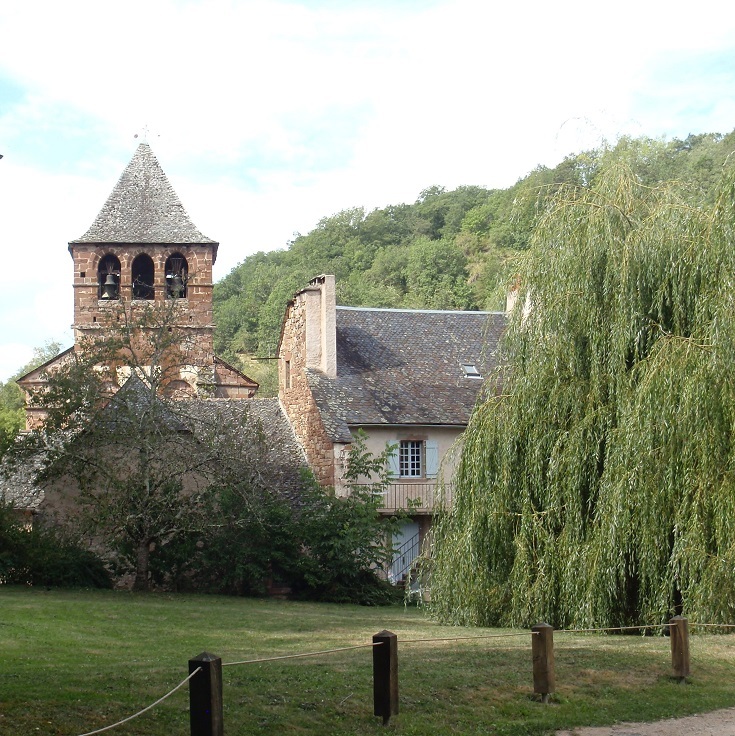 And if you’ve forgotten your picnic lunch—there’s a small café just over the bridge beyond the church. 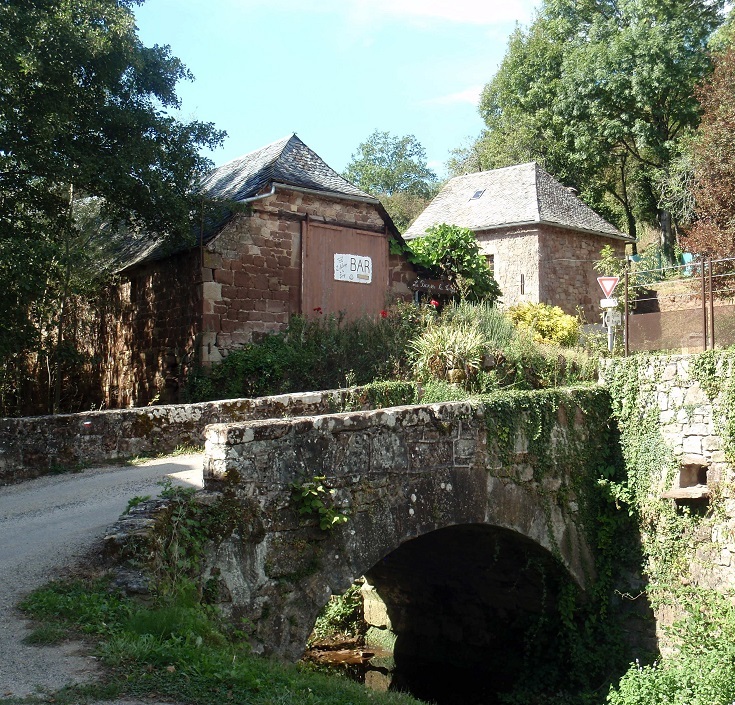 Which long-distance walk visits Bessuéjouls?